6 Keys to Accelerate Growth with the Right Field Data Collection Partner! Like it or not, the success or failure of every market research engagement rests largely on the quality of your data collection strategies and field services partner. It's critically important, therefore, you choose the right field data collection vendor. You need to trust that they won't miss an important detail that jeopardizes the integrity of your analysis and, by extension, your relationship with your client. Decide what type of research support firm is the best fit for you. Your most important project is the one you're doing right now, so make sure your whole team is onboard. 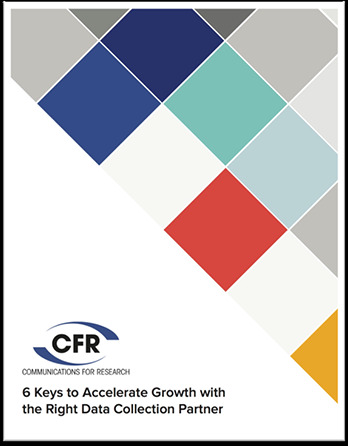 Download our free guide before you hire your next primary research vendor!